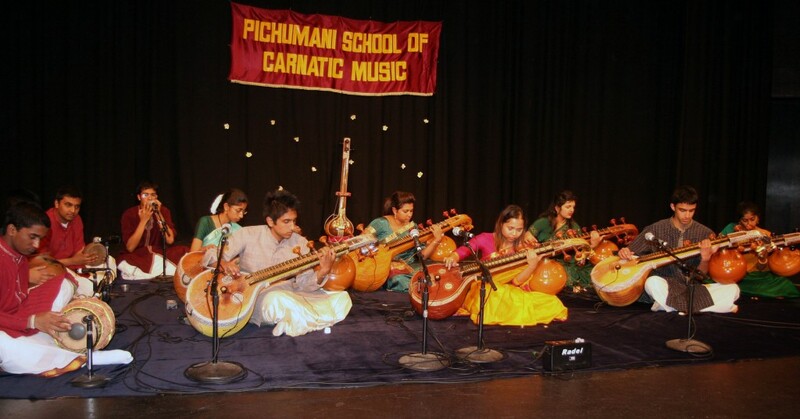 PICHUMANI School of Carnatic Music in Melbourne founded by the enterprising veenai brothers, Ramnath and Gopinath, has been carrying the torch of Carnatic music and the practice of playing the veena for the last ten years. The Iyer brothers have been quietly chiselling away at building new skills by teaching one of the most ancient of instruments the Veena to students living in Melbourne. Today Veena vidwans are as rare as their students therefore the dedication shown by the brothers towards the teaching of this artform is a valuable contribution towards keeping the art of playing the Veena alive in the South Asian hemisphere. Trained by the eminent Guru Veenai Venkataraman whom we all had the opportunity to meet and hear during the recent music festival held in Sydney it is indeed lucky for the students of Pichumani School of Music to come under the guidance and teachings of the brothers. Pichumani is going to hold its School function in the coming weeks, go to news to read more. Meanwhile listen to a music clip of Thanam in Bhairavi ragam rendered by Nisha Gopinath and Mahita Ramnath, daughters of the brothers.